The conclave will proceed according to the rules of "Ordo Rituum Conclavis," established by Pope John Paul II's apostolic constitution "Universi Dominici Gregis." 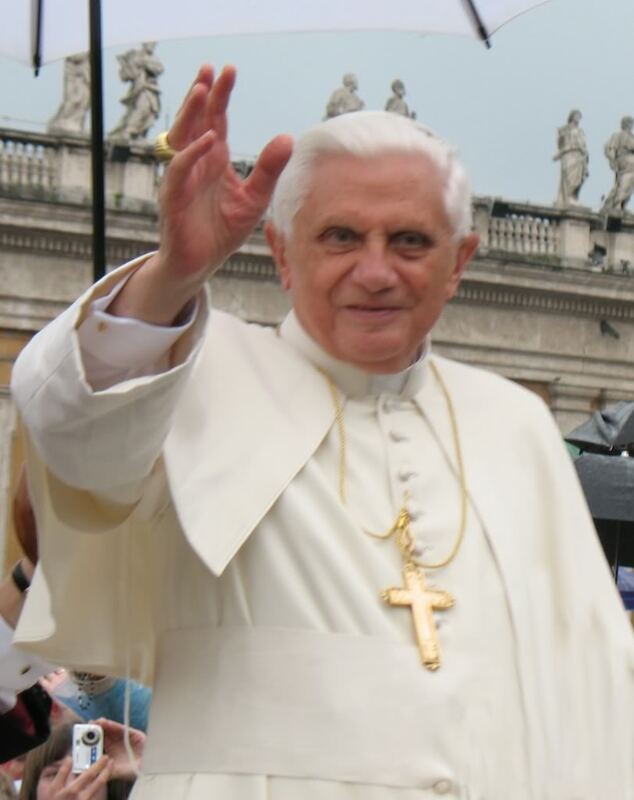 The Society of Saint Pius X has learned of the sudden announcement about the resignation of Pope Benedict XVI, which will be effective on the evening of February 28, 2013. 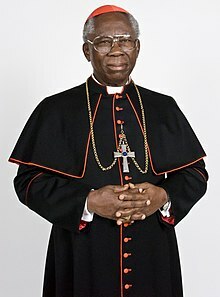 Despite the doctrinal differences that were still evident on the occasion of the theological talks held between 2009 and 2011, the Society of Saint Pius X does not forget that the Holy Father had the courage to recall the fact that the Traditional Mass had never been abrogated, and to do away with the canonical sanctions that had been imposed on its bishops following their consecration in 1988. It is not unaware of the opposition that these decisions have stirred up, obliging the pope to justify himself to the bishops of the whole world. The Society expresses its gratitude to him for the strength and the constancy that he has shown toward it in such difficult circumstances, and assures him of its prayers for the time that he wishes to devote from now on to recollection. Following its founder, Archbishop Marcel Lefebvre, the Society of Saint Pius X reaffirms its attachment to eternal Rome, Mother and Instructress [Mater et Magistra] of Truth, and to the See of Peter. It reiterates its desire to make its contribution, according to its abilities, to resolving the grave crisis that is shaking the Church. It prays that, under the inspiration of the Holy Spirit, the cardinals of the next conclave may elect the pope who, according to the will of God, will work for the restoration of all things in Christ (Eph 1:10). The Wall Street Journal has a handy Papal Q&A on their website - a legal guide to Papal resignation. According to the WSJ Benedict XVI would technically retain the title, Bishop of Rome Emeritus. Predictably Fr Hans Kung has seen the news of Pope Benedict’s resignation as yet another opportunity to castigate his former colleague and friend. Pope Benedict XVI reached out to the embittered Fr Kung shortly after his election, inviting him to a private dinner in the Apostolic Palace. Fr Kung responded by launching a series of vicious personal attacks on the Holy Father. The new bishop of Portsmouth, Philip Egan is speaking on the BBC. This bishop notes that the Pope has been very ill. He states that a bishop must be swift of foot and have drive. I think illness and fatigue is the reason and we should not look farther than a courageous decision, although the Pope's days in a monastery also give us a great example. Do not waste time. Do not spend time on things which do not bear fruit. I cannot say all that I want to on American sites as the weather here is causing problems here. We have had a storm. Cardinal Cormac Murphy O'Connor was generous in his praise and said that in 2005, in was clear in the conclave that Benedict was the best man. I trust in the Holy Spirit to defend the Church and I am convinced that the Pope going into a monastery is good for all of us. I am concerned about the future of the SSPX. Very, and for me this is personal. Let us be peaceful and trust in God and His plan for the world. I have been warning people for years of coming difficulties. But, DO not believe spurious prophecies. Do not follow any seers but those already approved by the Vatican. You may not be following God. Stay close to orthodox doctrine and the long Tradition of the Teaching Magisterium of the Church. Go to Mass as much as possible and go to Adoration. Pray daily and go to Confession as much as possible. The Church will continue until the end of time. How and in what state are other questions. Be perfect. Pray and get ready. We have had a noble Pope. He is so humble. God bless him. Damian Thompson just was interviewed and said he is sad, but that Bl. John Paul II was in too long. Archbishop of Canterbury, the Most Reverend Justin Welby, the leader of the Anglican Communion, has just released a statement saying: "It was with a heavy heart, but complete understanding, that we learned this morning of Pope Benedict's declaration of his decision to lay down the burden of ministry as Bishop of Rome, an office which he has held with great dignity, insight and courage." Ten posts here on this and the Pope gave his resignation in Latin. And note from Archbishop Vincent Nichols who praises his decision....on BBC. No English or Welsh Cardinal can vote in the conclave. Has this ever happened? New pope will definitely take on Holy Week duties. EWTN Europe is not worth looking at which is too bad. BBC is best coverage so far-if you have Internet or tv go there. Cardiinal Keith O'Brien is shocked and is offering his prayers for the Pope. Update at 7.20 a.m. ET Saturday: Milwaukee Archbishop James Harvey and five others were made cardinals by Pope Benedict Saturday, Reuters reports. He reminded them that they wear red vestments because they must be ready to defend the faith "even to the shedding of your blood" in a ceremony in St. Peter's Basilica. ROME — The red, or rather scarlet, carpet will be rolled in St. Peter's Basilica on Saturday for the elevation of six cardinals. The new so-called "princes of the church" will receive their ring, scarlet skullcap and the traditional biretta, a four-cornered hat, in a solemn ceremony presided by Pope Benedict XVI. The ceremony won't only be a rare insight into one of the oldest and most colorful traditions in the Catholic Church, which with 1.1 billion adherents worldwide, represents more than half of the world's Christian population. It will also redefine the balance of power in the Catholic Church, and further increase the United States' influence in the election of the next pope. Among the six cardinal-elects is James Harvey, an archbishop from Milwaukee who will become the 11th cardinal elector from the U.S., strengthening the country's position as the Vatican's second-largest voting bloc after Italy. Cardinal electors are the members of the College of Cardinals who have not reached their 80th birthdays on the day the pope dies and are thus able to vote for the new prelate. The resignation points above all to Benedict XVI's humility and courage – this is a remarkably brave step for a Pope to take. Pope Benedict has never been afraid to serve the Church in his papacy. His decision to retire, first in 600 years speaks of his integrity. Catholic News Service claims enclave will vote within two weeks. Not yet on EWTN. Why not? Joseph of Arimathea helps take down the Body of Christ with a ladder. Nicodemus takes the Body of Christ. Our Blessed Lady receives Him, as do John and Mary Magdalen. This is the Eucharist. Take My Body; Take My Blood Christ had said the night before at the Last Supper. The Passion started at the Last Supper. The Eucharist is the Sacrificial Body and Blood of Christ given to us for all ages until the end of the world. The Mass is the Unbloody Sacrifice. How fortunate we are to have the Catholic Faith. Thank you, Jesus, thank you.